Year on year Geneva added new bays to the exhibition hall. Until now. Ian Fletcher, principal analyst for IHS Markit wonders how many of those who come on public days actually buy cars. “I bet most customers now are happier to research online." Motor Shows are changing. London Motor Shows at Olympia or those I attended religiously at Earls Court have long gone. The Paris Salon is a pale shadow, Frankfurt is biennial. Only Geneva survives in anything like its old splendour. Its press days were an occasion. Tons of glossy press kits with photographs and designer-led text were distributed to journalists. DHL set up a unit to dispatch them. This year, according to agency PFPR, no exhibitors printed news releases. Huge amounts of money were spent on press events, manufacturers’ conferences and flying executives from all parts of the world. Geneva was a focus of designers and engineers, so consultancies like Giugiaro used concept cars to show off and sign up new clients. But as Gibbs says, measuring investment in a motor show against its effect on sales was challenging. Roelant de Waard, head of sales and marketing at Ford of Europe told ANE, “Ford typically focuses on one message, for example, its Vignale luxury trim line, or performance-oriented cars.” He likes Geneva for its restriction on spend, which ensured no one can dominate visually. “It means the message has to be about brand and product,” he said. On press days there were conferences, new car announcements with photogenic girls to spice up a front page picture. So many noisy dance bands competed they had to be, in the end, banned. Girls tempted photographers even if sometimes the cars got too big for them. Manufacturers are holding events of their own. Jaguar’s Art of Performance tour held in the US and UK goes round letting people drive new cars. 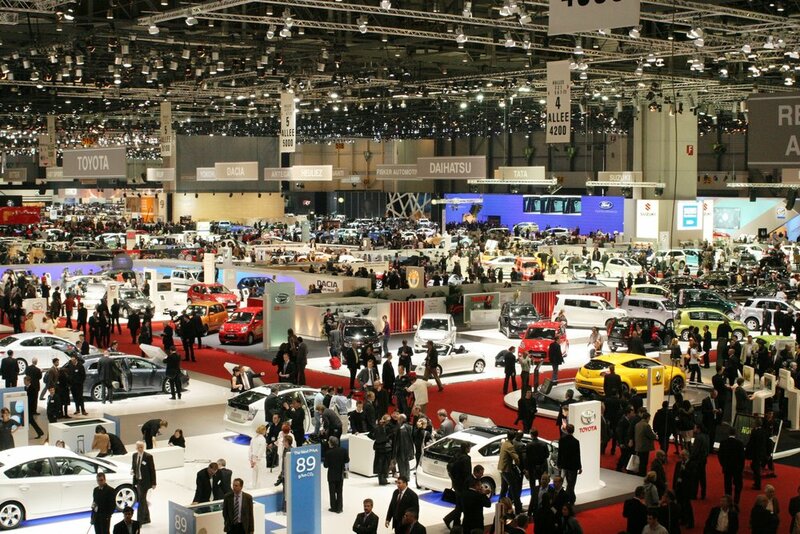 Ford has Go Further events one, in Cologne attracted 2,500. In June Audi took 2,000 media and dealers to Barcelona for its A8 launch. "It cuts out the noise of an auto show." “Manufacturers are keen to find different ways of showing their products and we've been part of that change,” Goodwood Festival of Speed organizer Lord March told Automotive News Europe. The event draws about 200,000 visitors compared with 931,700 who attended the 2015 Frankfurt show, but Goodwood’s reach on social media is greater, Lord March said. “It’s all about the content – manufacturers are pushing out well over 1 million hours of downloaded video. There’s lot of noise around what you're doing." He estimates it costs automakers about three times less to participate at Goodwood than at a big auto show. Renault, a source reported, spent less than £1 million on it this year.